Hannah Hauxwell (1 August, 1926 – 30 January, 2018) Daleswoman and farmer. Hannah was born in Baldersdale, North Yorkshire on Low Birk Hall Farm – which her parents owned. After a happy but frugal life at Low Birk Hatt Farm Baldersdale famous for being without electricity or running water Hannah has passed away in a nursing home near her cottage at Cotherstone. By the time, she was 35, both her parents passed away, leaving her responsible for the farm and the 80 cattle. She could have gone to a factory job in Durham, but preferred to stay on the farm, despite the hard life. She managed the farm all by herself, despite the fact that in the 1970s, women were not allowed to attend cattle auctions, and she had to get a male farmer to take her cattle to market. It is hard to believe that it was in 1970 that the Yorkshire Post ran a story that outed a new Star. After the newspaper article Yorkshire TV screened a documentary ‘Too Long a Winter’ about a middle aged, female, Yorkshire Dales Farmer. It was entitled “How to be happy on £170 a year”. In fact Hannah managed on around £250 a year, at a time when average UK salaries were £2,000. Her cottage, where she lived alone had no running water or electricity. During winter, she could often go 10 days without seeing another person. 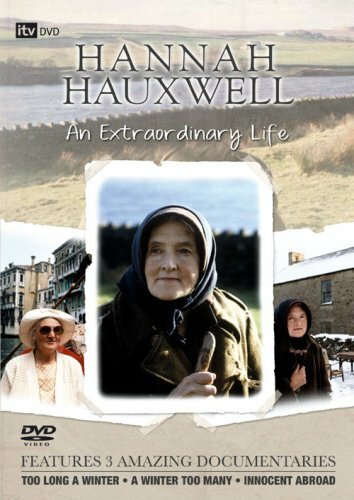 Hannah Hauxwell was to capture the hearts of a watching audience as she recounted her life that could have existed in the 18th or 19th centuries but was actually being lived in the late Twentieth Century. 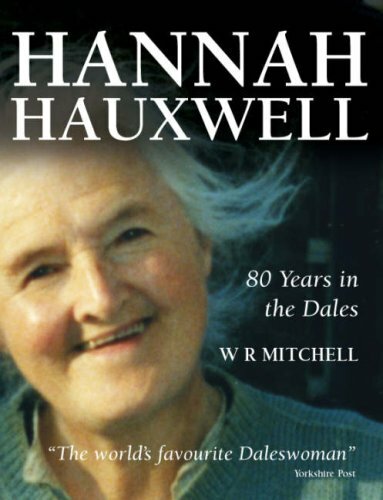 In her remote 78 acre hill farm in Baldersdale, without running water or electricity, Hannah Huaxwell became an author and soft spoken TV hit. After the documentary, she began to received many letters of appreciation and a local business helped fund-raise to bring electricity to Low Birk Hatt Farm. Commenting on the reality of farm life and a winter that lasted until May. ‘In summer I live in winter I exist’. In 1992, Yorkshire TV made another documentary about Hannah’s first overseas visits, where she made a tour of European cities. It was her first time outside of England. Throughout her European travels, she got to shakes hands with the Pope and travel on the Orient Express. 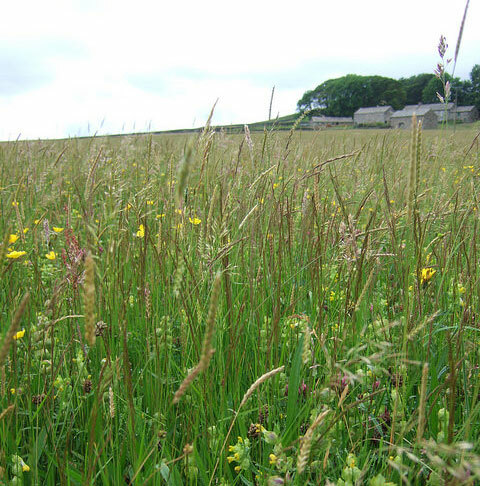 After selling her farm, the traditional farm meadow has been designated as a site of special scientific interest. Hannah’s farming techniques eschewed modern pesticides and it was found her farmland harboured many rare wildflowers, not usually found on modern farms. 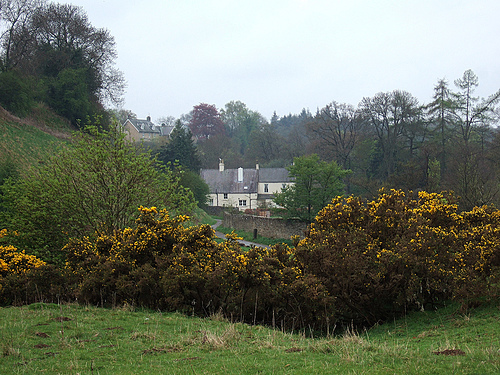 Cotherstone lies within the historic county boundaries of the North Riding of Yorkshire, but along with the rest of the former Startforth Rural District it was transferred to County Durham for administrative and ceremonial purposes on 1 April 1974. It is famous for local cheese and its famous resident Hannah Hauxwell. Dating back to the 1750s, The Fox & Hounds sits proudly on the West Green in the picturesque village. Within an area of outstanding natural beauty and sitting next to a beautiful stretch of the River Tees near the river Balder the friendly and cosy atmosphere of this traditional country pub may be worth a visit. 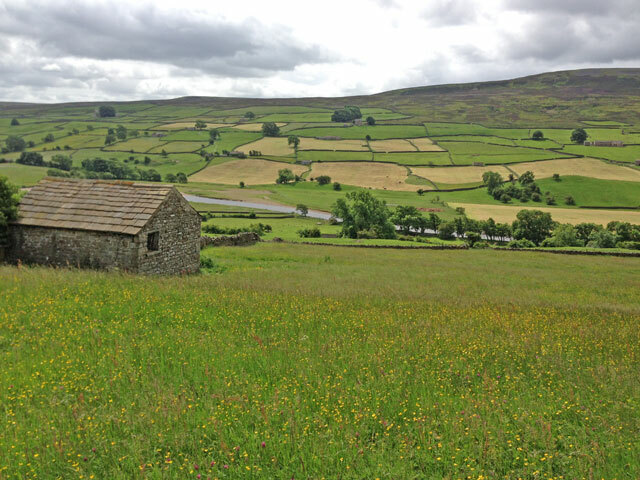 Interestingly enough, the Pennine Way long distance footpath runs almost past the front door of Low Birk Hatt farm where Hannah Hauxwell lived. Pretty lonely in winter but like the M25 in summer. Maybe not so remote after all? IT WAS A WINDERFUL STORY OF THIS LITTLE LADY AND HER LIFE ON HER FARM AND THEN THE MOVE TO THE TOWN.I WAS WONDERING IF SHE IS STILL WELL AND HAPPY. Its approx 2 years since your question regarding the wellbeing of Hannah Haukswell. Today 07.06.2012. I made contact with the village Post Office of Cotherstone where she resides and they inform me she is well and happy. No other details were available. Hope this helps. Thank you – I am sure many readers will be grateful for the update. Is Hannah still well happy and in good health. I would like to no if Hannay Hauxwell is still alive.She stayed in the North Riding of Yorkshire. The very salt of Northern England. What an extraordinary person. A British heroine. She, and those of her Ilk, epitomises a Britain that’s, sadly, fading fast into history. After seeing this documentary many years ago I fell in love with this woman. I’ve been out of the UK for 14 years now and always promised myself that on one trip back I would visit Hannah’s meadow. Two weeks ago I made a whistle stop visit to England (the main reason was to see the opening night at Kynren) and I went to see the meadow. Absolutely breathtaking!! I’ve just been re watching the documentaries and I’m a little confused. Hannah said that her parents, grandparents and great grandparents had lived there, but in another statement she said that she was 1 or 2 years old when they moved there. Can anyone clear this discrepancy up for me?